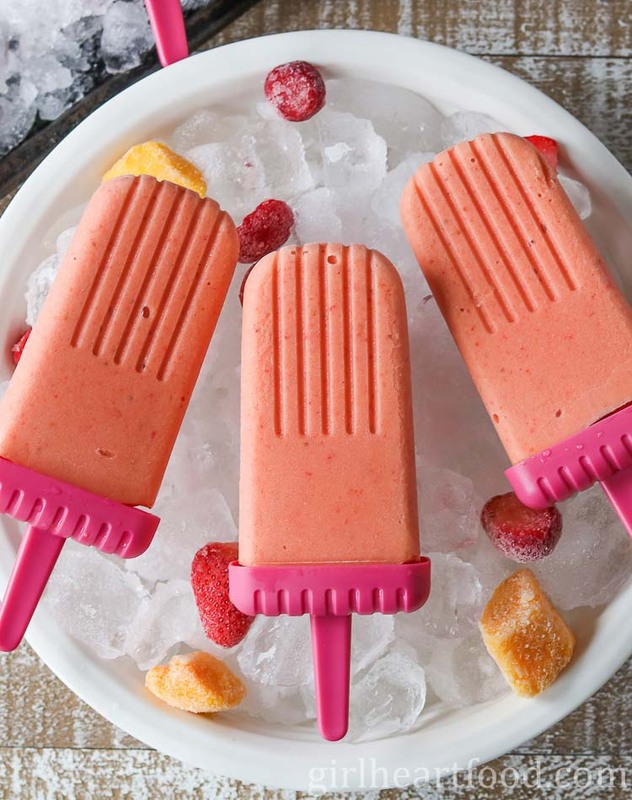 These Strawberry Mango Kefir Ice Pops are an easy summer dessert recipe that can be whipped up in minutes. They are creamy and loaded with goodness from only 4 simple ingredients. Did I mention they’re also refined sugar free and gluten free? 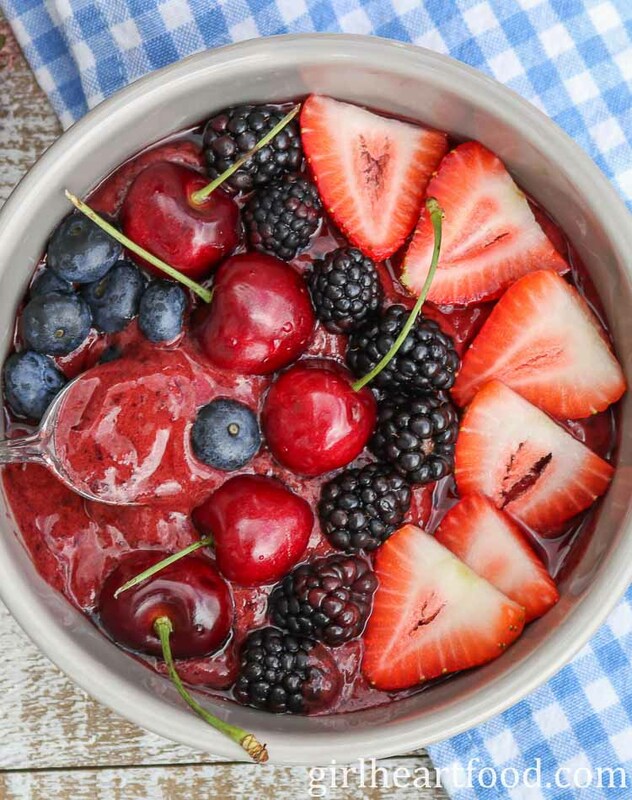 This Very Berry Cherry Smoothie Bowl will be your go-to this summer when you are looking for an easy, tasty meal or snack. The base of this cherry smoothie bowl has only three ingredients – cherry, banana and vanilla almond milk. Then, garnish to your heart’s content with the freshest cherries and berries! 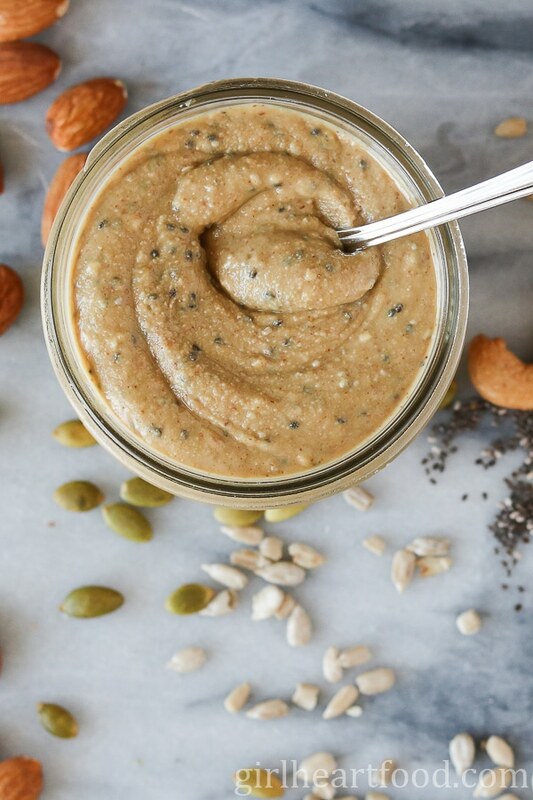 This Mixed Nut and Seed Butter is a whole lot of goodness packed in one little jar! It’s all good-for-you ingredients that you can pronounce and nothing complicated. There’s a bunch of peanuts, cashews and almonds along with sunflower, pumpkin, chia and sesame seeds and a tiny peck of salt. This one is going to be your new favourite thing to spread on toast! This Creamy Orange and Vanilla Smoothie is packed with real orange and vanilla flavour and for extra oomph has vanilla protein powder. It’s a delicious way to start your day or to get over that mid afternoon slump! Plus, it tastes like a favourite childhood frozen treat in smoothie form! 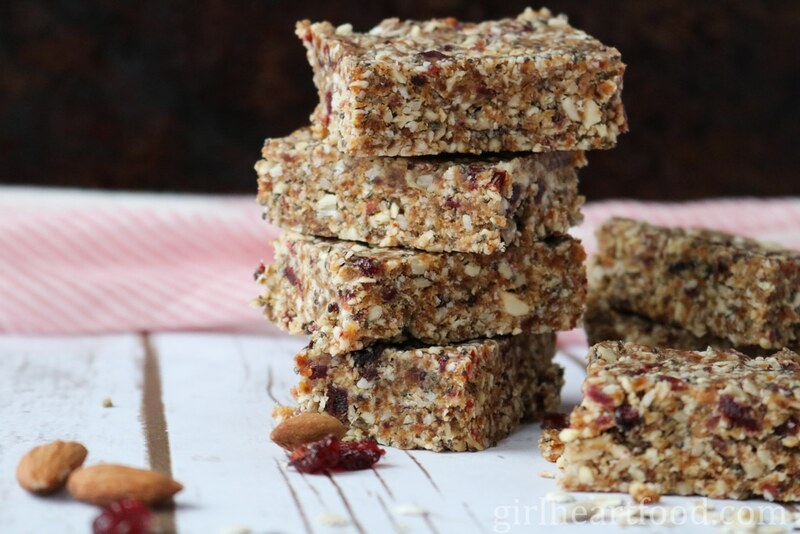 These No Bake Granola Bars are jam packed with goodness and couldn’t be easier to make. There’s a date base which keeps it all together and wholesome ingredients like chia seeds, almonds and oats. There’s no need to buy store bought bars again once you make these. Totally portable, they make for a busy morning breakfast or afternoon snack. You’re going to love these! 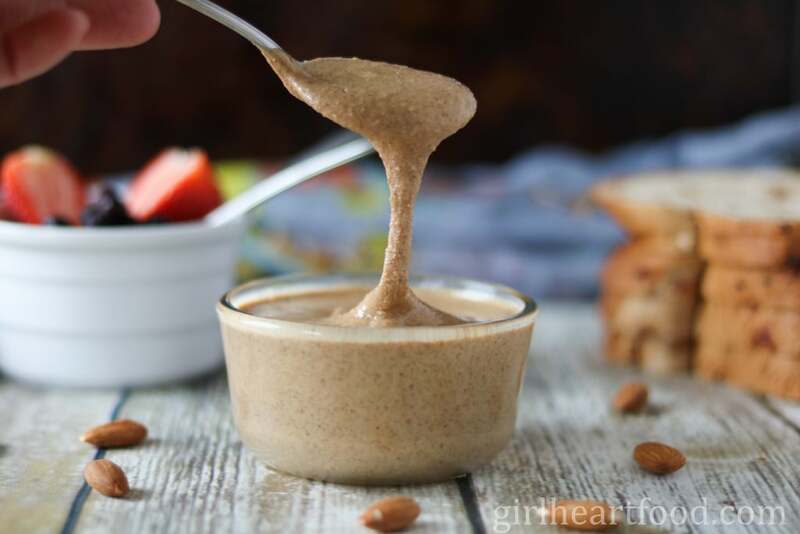 This 2 ingredient Roasted Almond Butter is unbelievably easy to make and tastes SO good. Roasting the almonds gives another element of flavour and is totally worth it. Imagine, you can have your own almond butter in about 20 minutes. There’s no hiding behind a bunch of ingredients here. Plus, this one is paleo, gluten free, vegan and refined sugar free. 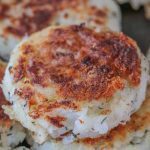 You’re going to love this recipe! These gluten free and whole grain Teff Energy Bars are LOADED with goodness! There’s fibre and iron rich teff, almond flour, chia seeds, walnuts and let’s not forget chocolate. It’s a treat you can feel happy about eating. An energy bar never tasted so delicious!